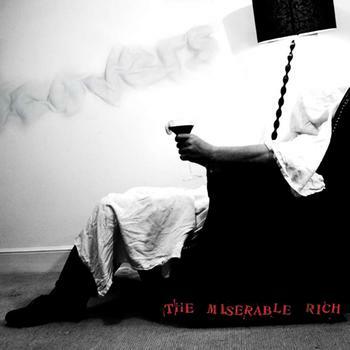 Having only released their debut album earlier this year, it is quite remarkable that the still relatively unknown quantity that is The Miserable Rich carry with them such a recognisably distinctive and uniquely personal sound through a combination of James De Malplaquet’s treacle sweet vocals and the English summer’s afternoon violins. It is this palate which helps to make another artist’s songs really become the bands’ own, as they prove with the release of their self-explanatory Covers EP. Opening with The Stranglers’ ‘Golden Brown’, the basic tune of the 1981 original remains, yet is taken down a Dickensian route via handclaps and street-corner sensibilities. The song becomes a lot more magestical and joyous, if not slightly more distanced than what The Stranglers curated. Pixies’ ‘Gigantic’ is the real triumph here though as Kim Deal’s angst ridden song is made all the more sweeter with plodding piano and De Malplaquet’s Frank Black on helium vocals. The song surprisingly manages to capture the same intensity of the plugged-in original with acoustic ambience. ‘Shades’ is almost unrecognisable, which is a good thing as it was originally unrecognisable as Iggy Pop in the first place, and could easily have walked off the band’s debut Twelve Ways To Count such is the sweet sentimentality, one which at time is a little too much for a diabetic to handle, but perfect in slightly smaller doses. Finally, ‘Sweet Dreams’ sees the band having a bit of fun whilst turning the electronic juggernaut of The Eurythmics’ landmark into a gospel masterpiece, making the Covers EP a special little quirky gem which fits perfectly into your record collection. Expect more of the same excitement from these guys very soon.